Smoking can be an excellent way to impart a delicious taste to your foods, and it is also great for creating tender meats thanks to the low-and-slow cooking method. There are, however, some safety considerations to keep in mind when using a smoker at home. The CDC estimates that about 1 in 6 Americans (or 48 million people) get sick, 128,000 are hospitalized, and 3,000 die of foodborne diseases each and every year, which makes ensuring your smoker is working properly of the utmost importance. Young children, pregnant women and the elderly are all at increased risk of contracting a foodborne illness. You can find smokers that use charcoal, electric, gas, pellets, and even log-burning models. It will mostly come down to a personal preference which model is best for your needs. All are fairly comparable in price, but included accessories (such as racks and easy-access panels) will factor into the cost. Size is also an issue. You don’t want a unit that’s so large you’re running it nearly empty every time you cook, but you don’t want a model that’s too small for your needs. Electric models are the most user-friendly as their temperature and smoke level controls make for near foolproof smoking. Gas and charcoal can be more finicky to get right until you’ve mastered the art of smoking. With the above information in mind, in no particular order here are 40 of the smokers that we consider the best, based on available features and average customer ratings and reviews. This unit offers an all-in-one grilling solution that features a charcoal grill, barbeque, and smoker in one. It boasts 290 square inches of cooking surface in the main chamber and 140 square inches of cooking surface in the firebox chamber. 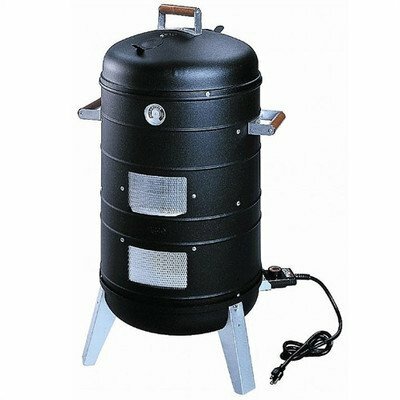 This charcoal smoker is available in a choice of three different sizes to suit any grilling enthusiast’s needs and is large enough to accommodate both a turkey and full-sized ham at the same time. 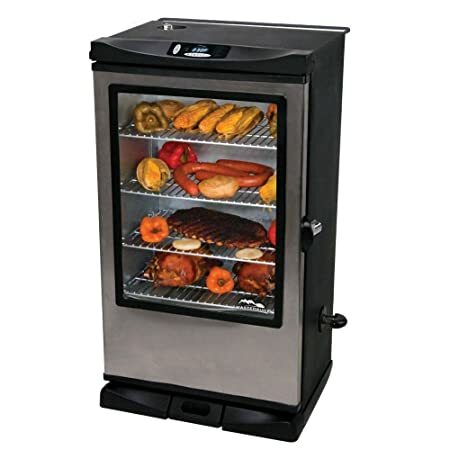 This electric smoker is available in a choice of two different sizes and several choices of configurations to suit nearly any household’s needs. 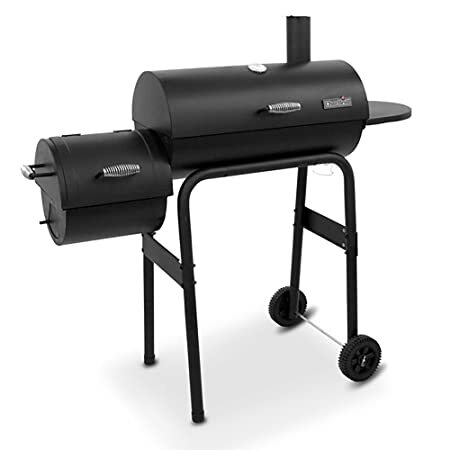 It comes complete with integrated Bluetooth technology, allowing you to control the smoker from your device. 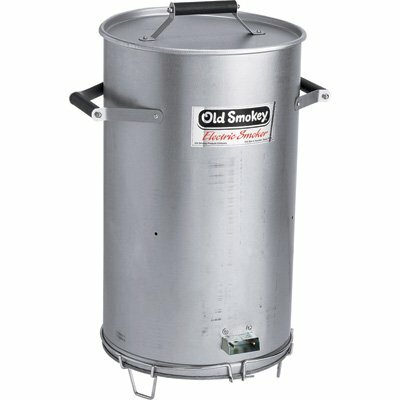 This kettle-style smoker is suitable for use both indoors and outdoors to impart a delicious smoky flavor to your foods. 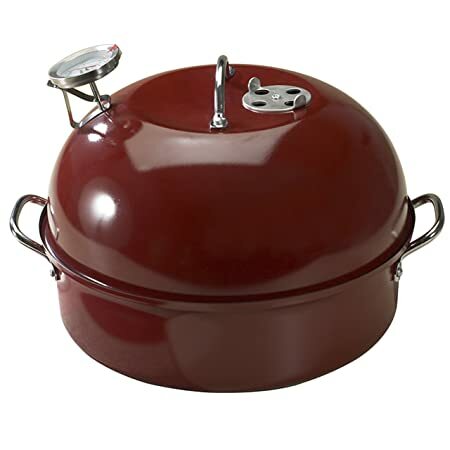 The high dome cover lets you smoke even large items and the unit comes complete with base pan, water pan, non-stick smoking rack, recipe booklet and wood chips. 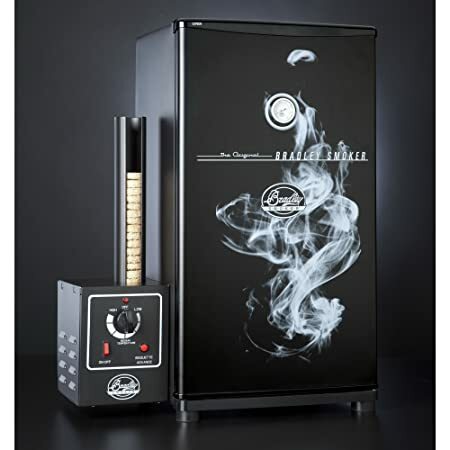 This electric smoker is available in a choice of two different sizes and several choices of configurations to suit nearly any household’s needs. 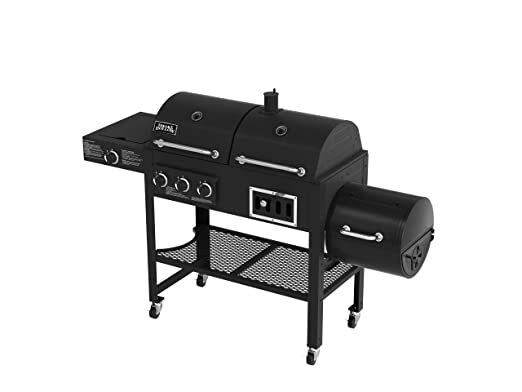 It comes complete with four chrome smoking racks, stainless steel burner, regulator, and hose. 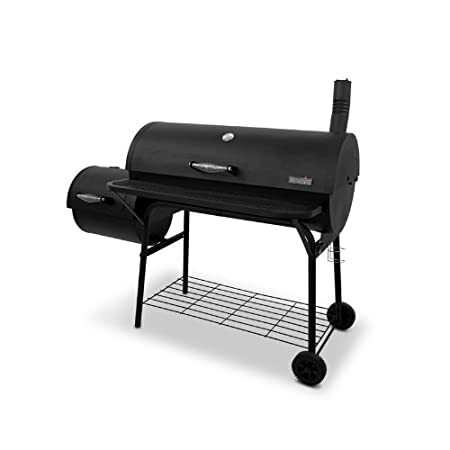 This smoker comes complete with four removable racks and boasts a durable stainless steel interior to provide you with years of long-lasting use. The variable temperature controls allow you to find the precise temperature and smoke level for your foods. 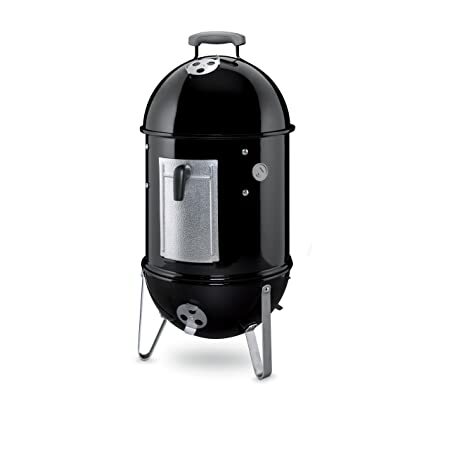 This charcoal smoker is available in a choice of three different sizes to suit any grilling enthusiast’s needs and features an integrated lid thermometer for perfect results every time. This electric smoker boasts 975 square inches of cooking space and comes complete with four cooking racks, built-in meat thermometer, and an internal light. There’s also an included RF remote control that allows you to monitor food when you’re not at the unit. 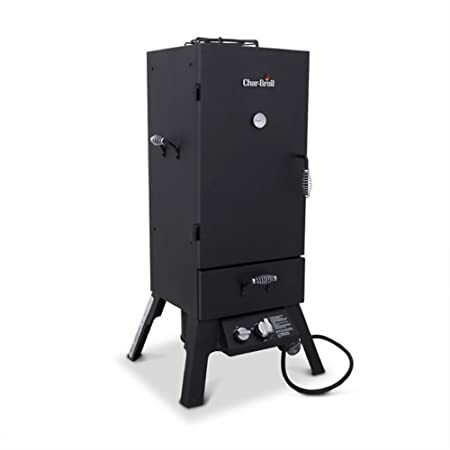 This electric smoker comes complete with four cooking racks and is capable of providing up to 8 hours of controlled cool smoke. The digital controls make adjusting temperature and cooking time easy. 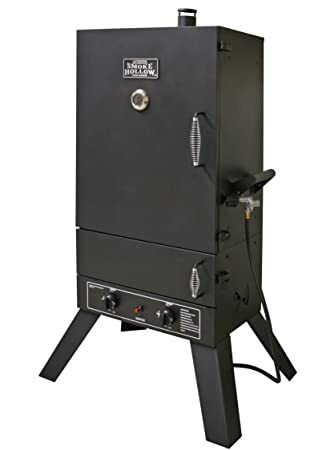 This propane-fueled smoker boasts more than 1.5 cubic feet of cooking capacity and comes complete with three chrome-plated cooking racks, a wood chip pan, and commercial grade temperature gauge. This stovetop smoker is suitable for use both indoors and outdoors and comes in a choice of different sizes to suit most families’ needs. It is suitable for use with all heat sources and is dishwasher-safe for easy cleanups. 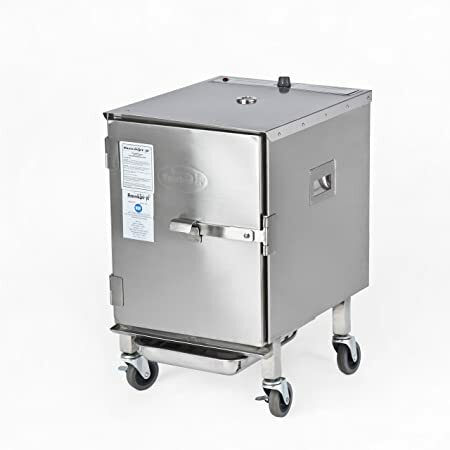 This handheld food smoker is great for imparting a smoky flavor to foods in small spaces where a full-sized smoker just isn’t practical or convenient. It’s also easily portable for camping or on-the-go cookouts. 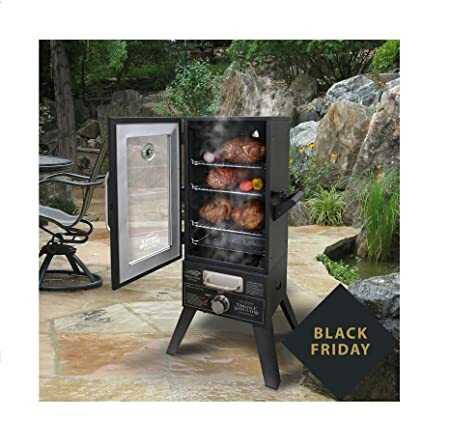 Available in a choice of three different sizes, this electric smoker provides 725 square inches of cooking space and comes complete with four smoking racks for all your cooking needs. An automatic shutoff and integrated warming feature ensure your food stays fresh once fully cooked. This electric smoker boasts 780 square inches of cooking space and comes complete with six racks to accommodate your favorite foods. It provides up to 8 hours of controlled cool smoke without refuelling and features an insulated stainless steel interior and internal thermostat. This electric smoker provides 505 square inches of cooking space and comes complete with three adjustable chrome-plated cooking racks. The lid-mounted temperature gauge and insulated, double-walled construction help monitor and retain heat without sacrificing food safety. 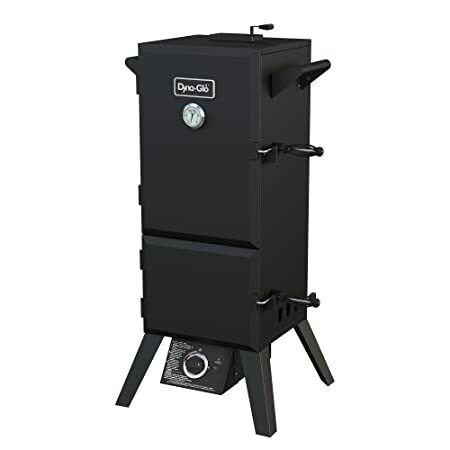 This propane-fueled smoker boasts 1,307 square inches of cooking space and comes complete with four chrome cooking racks, and built-in internal temperature gauge. A choice of three sizes and configurations ensures you find the perfect match for your smoking needs. 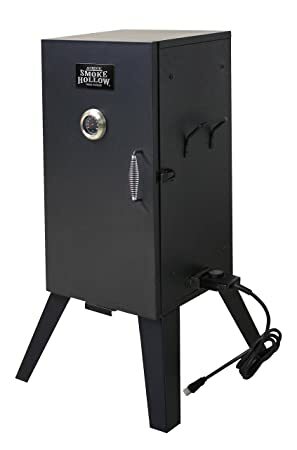 This electric smoker boasts an easy-to-use front-loading design that can hold up to 50 pounds of meat at a time and comes complete with five chrome-plated smoking racks. The dishwasher-safe drip pan makes for easy cleanups and boasts made-in-the-USA quality. 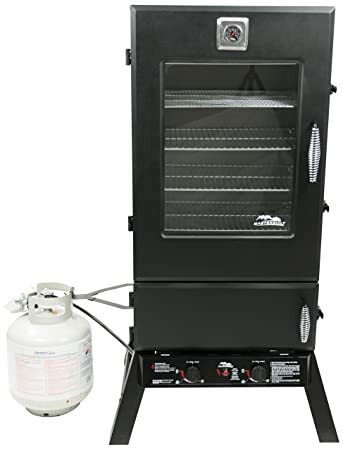 This propane-fueled smoker comes complete with three removable smoking racks, plus a bonus rack for making jerky or seafood. The built-in ignitor provides for easy starts, and the three adjustable damper valves allow for precision temperature and smoking control. 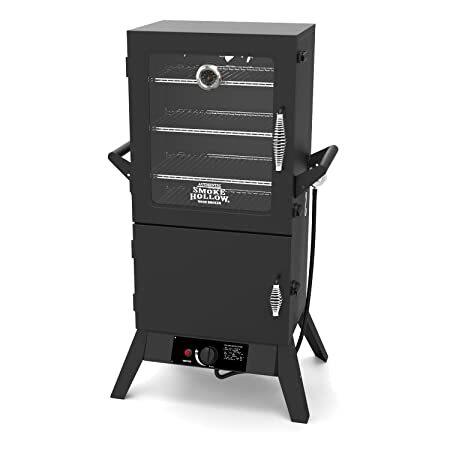 This electric smoker boasts 725 square inches of cooking space and comes complete with four chrome racks for all your smoking needs. Smart technology allows you to monitor the status of your food via the SmartChef app and will even send you notifications when cooking is complete. 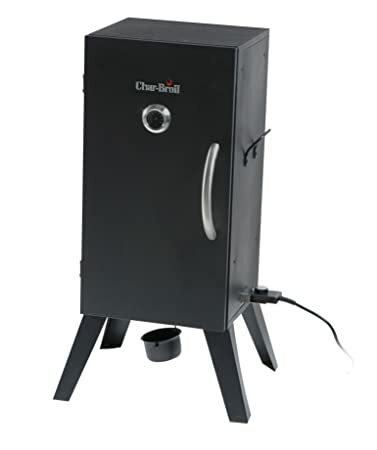 This unit offers an all-in-one grilling solution that features a charcoal grill, barbeque, and smoker in one. It boasts 670 square inches of cooking surface in the main chamber and 355 square inches of cooking surface in the firebox chamber. 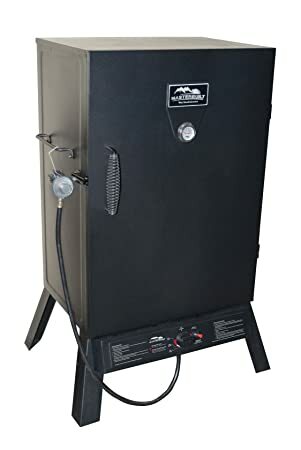 This propane-fueled smoker is the largest model available from this brand and provides 7 cubic feet of cooking capacity. It comes complete with two standard grids, two mesh jerky grids, one rib rack grid, and a sausage hanger. 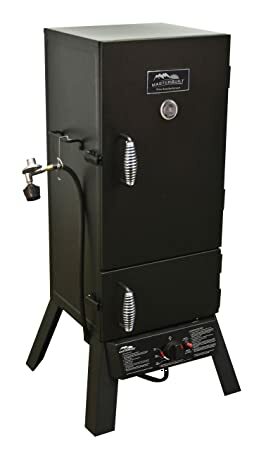 This propane-fueled smoker boasts 595 square inches of cooking surface and comes complete with three chrome-plated cooking grates for all your smoking needs. Thanks to the double drawer design it helps retain heat and smoke when adding additional wood chips. 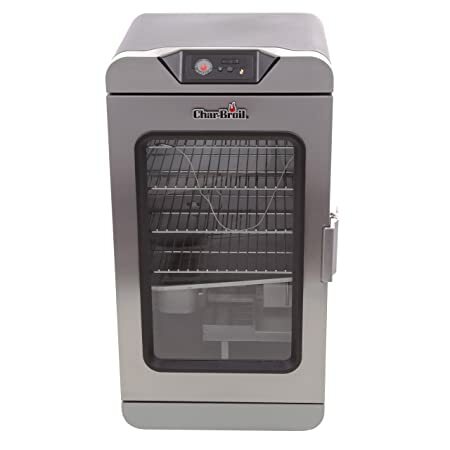 Available in a choice of two different sizes for all your smoking needs, this unit boasts a 3.4 cubic foot capacity and comes complete with four adjustable chrome-plated cooking grids. The two door design allows you to add additional chips without losing heat or smoke. 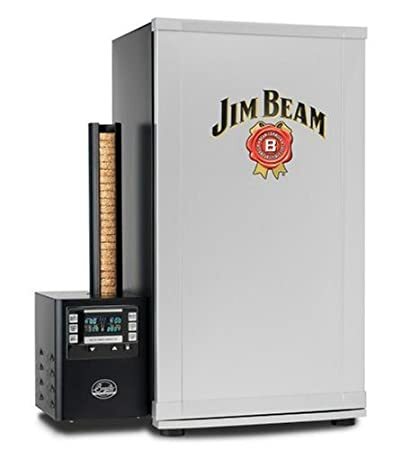 The perfect gift for the Jim Beam lover in your life, this branded electric smoker boasts 520 square inches of cooking surface and comes complete with four fully-supported, removable racks. It features digital temperature and smoke control for precision cooking every time. 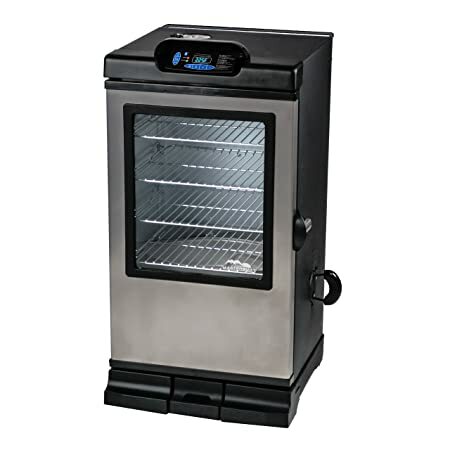 This electric smoker comes complete with four removable cooking racks for all your smoking needs and the integrated side handles allow for ease of portability and convenient placement. 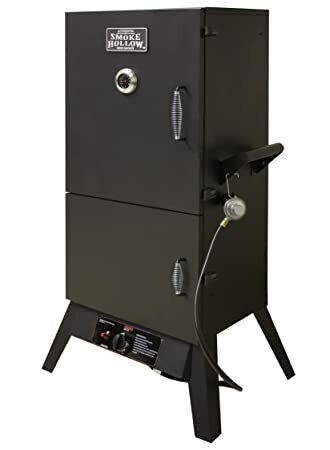 Available in a choice of two different colors, and in several different configurations, this electric smoker boasts 730 square inches of cooking space and comes complete with four chrome-coated cooking racks for all your smoking needs. 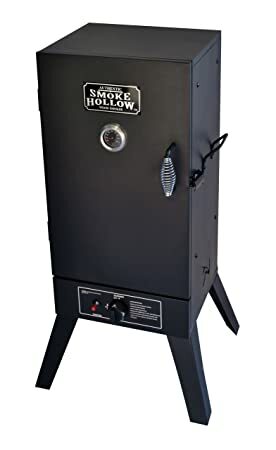 Available in a choice of three different sizes and two different fuel sources, this smoker boasts 784 square inches of cooking space and comes complete with four adjustable steel wire racks. It includes a porcelain enameled wood chip and water pan and features a built-in temperature gauge. This unit offers an all-in-one grilling solution that features a charcoal grill, barbeque, and smoker in one. It boasts 860 square inches of cooking surface and comes complete with a 10,000 BTU side burner that allows you to cook complete meals at once. 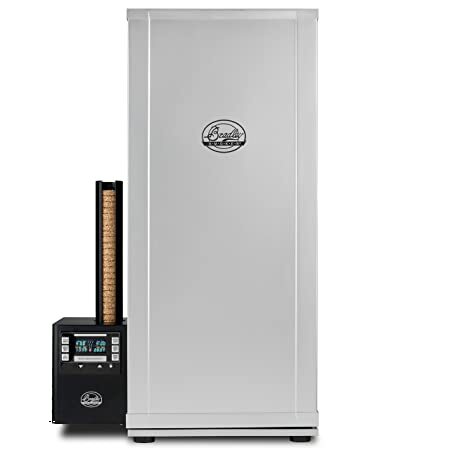 This propane-fueled smoker boasts a massive 2,000 square inches of cooking space and comes complete with four chrome cooking racks and a built-in temperature gauge. A choice of three sizes and configurations ensures you find the perfect match for your smoking needs. 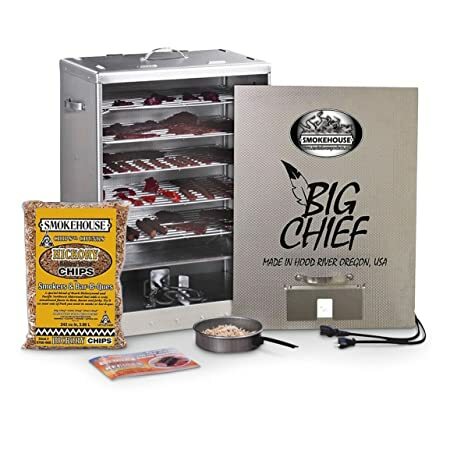 This electric smoker boasts a capacity of up to 22 pounds of meat per load and comes complete with three removable smoking shelves. The integrated side handles and caster wheels allow for ease of portability and convenient placement. 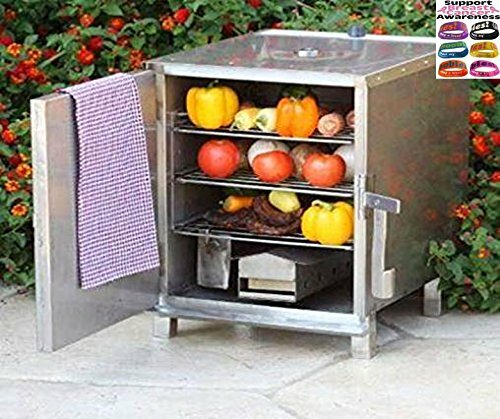 This propane-fueled smoker boasts a 3.0 cubic foot capacity and comes complete with four adjustable chrome-plated cooking grids. The tempered viewing glass and integrated thermometer allow you to check on your meat without opening the door and losing heat or smoke. 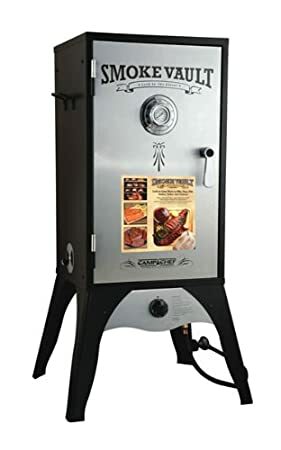 This electric smoker and grill boasts 351 square inches of cooking surface and comes complete with a 5.5 quart water pan that cooks food slowly for perfectly juicy results every time. It can hold up to 20 pounds of food at a time and has been made in the USA. 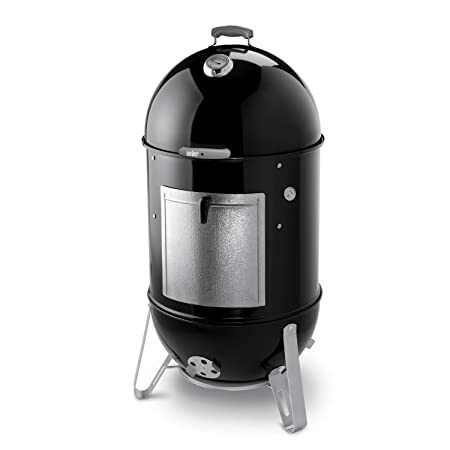 This electric smoker boasts a compact design that is ideal for use in smaller spaces, without sacrificing on performance. 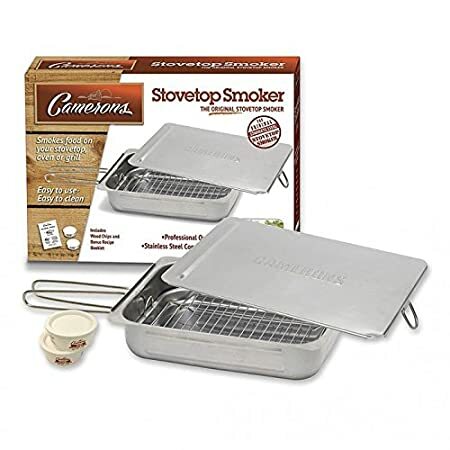 It boasts a 243 cubic inch capacity and comes complete with two stainless steel cooking trays. 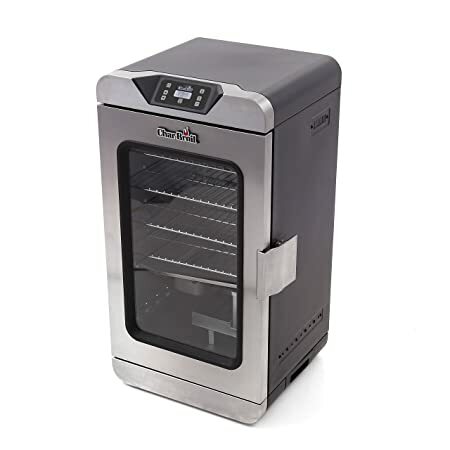 This electric smoker boasts a 1.3 cubic foot capacity and comes complete with two fully adjustable chrome-plated cooking grids. It features a commercial quality heat indicator and includes a wood chip and water pan for perfect at-home smoking results. 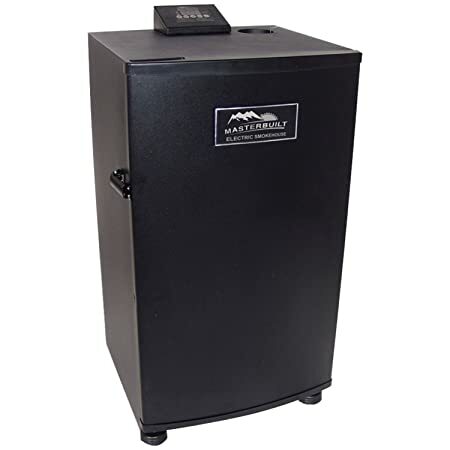 This competition quality smoker boasts a large, 30 gallon size that is suitable for use at barbequing competitions or for large backyard get-togethers. It comes complete with two grill racks, charcoal tray, and water tray. 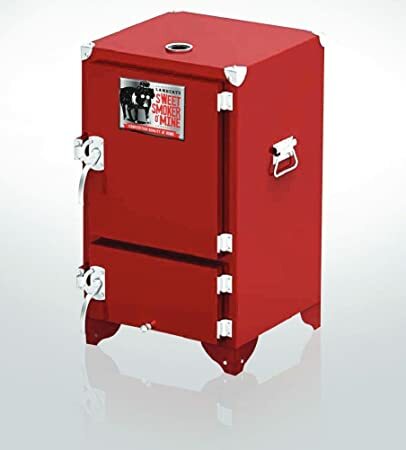 This charcoal smoker boasts a competition quality design in a bright and stunning red color. It features a lightweight design that is easily portable and comes complete with three cooking racks. 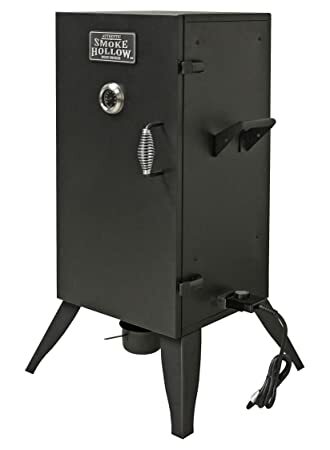 This propane-fueled smoker boasts 3.4 cubic feet of cooking capacity and comes complete with four chrome-plated cooking racks, sausage hanger, a wood chip pan, and commercial grade temperature gauge. 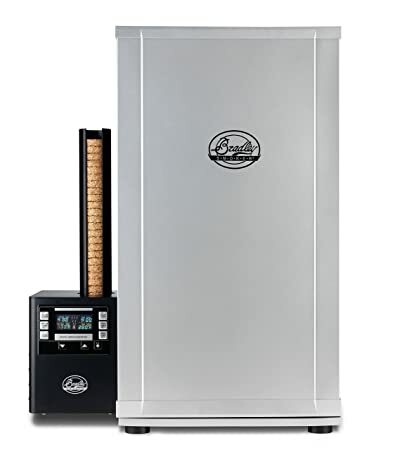 This electric smoker comes complete with two grills with integrated handles for easy insertion and removal, along with variable heat control for precision cooking. 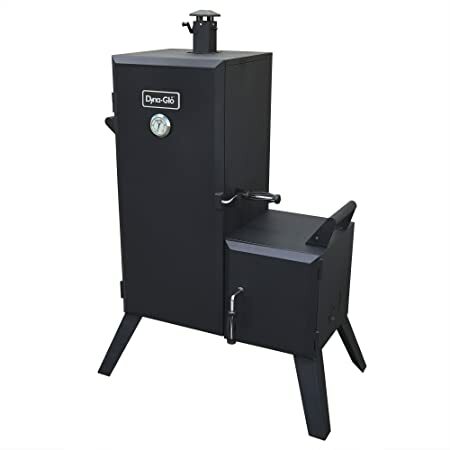 Available in a choice of two different sizes, this charcoal smoker boasts 784 square inches of cooking area that can accommodate up to 100 pounds of food at once, and comes complete with six fully adjustable cooking grates.